Easy mobile voucher taking you to the Peak! 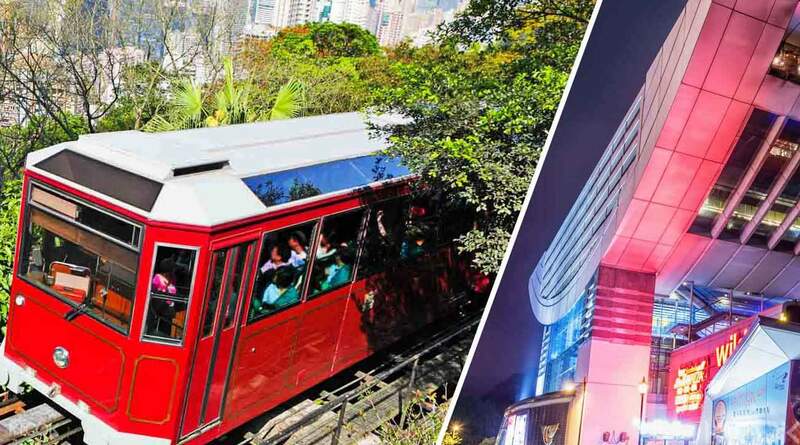 No visit to Hong Kong would be complete without a vintage funicular journey up to the iconic skyline view as seen from the Peak Tower. 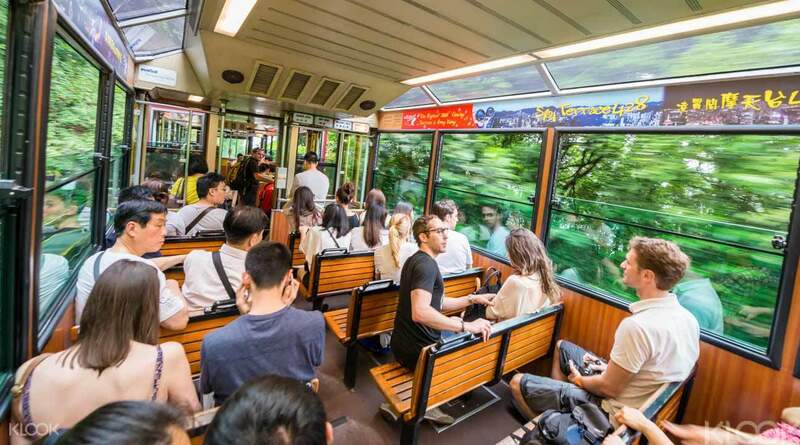 Travel in style by jumping aboard the iconic Victoria Peak Tram, Hong Kong's historical cliff railway. 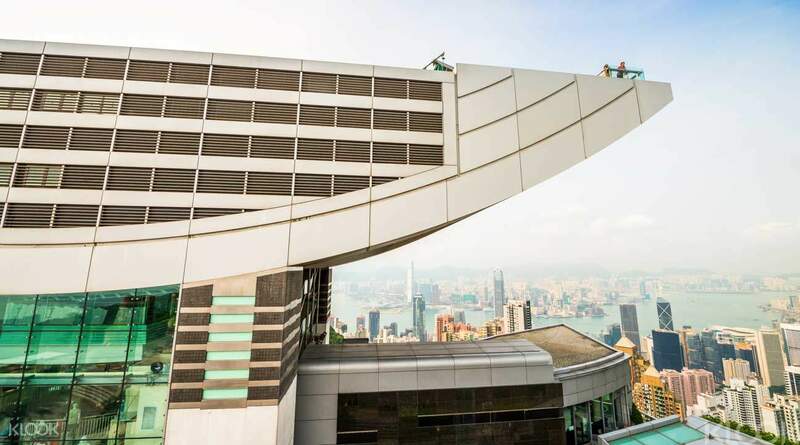 Once at the top, look down on the famous Hong Kong skyline from the panoramic viewpoint of Sky Terrace 428 – the highest 360-degree viewing terrace in town. With a mobile e-voucher, accessing the Peak Tram couldn't be easier - simply present the QR code on your phone to enter the gate upon arrival. Since you're not limited to any ticketing or redemption times, you can plan your sightseeing around your own schedule. 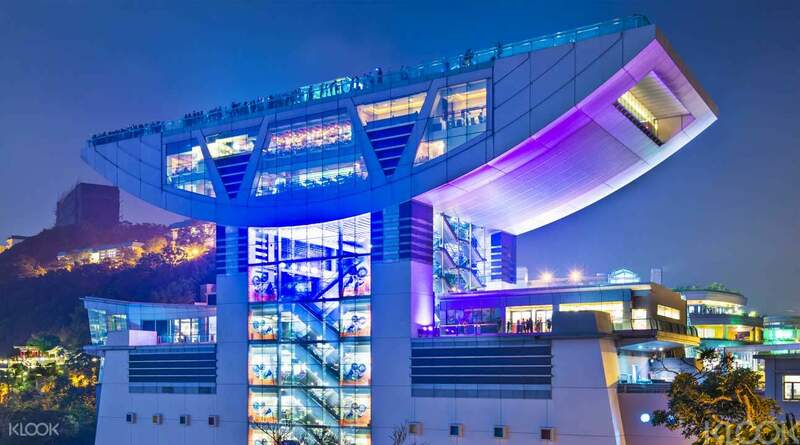 Return journeys plus access to Sky Terrace 428 (the Peak's observation deck) are included. Boarding/entry is subject to the queueing arrangement of Peak Tramways Co Ltd. and The Peak Tower Ltd. Address: Peak Tram Lower Terminus, 33 Garden Road, Central, H.K. Easy to use the voucher. Just scan the vourcher barcode at the gate and you are good to go. The Peak Tram ride was nice, you can see HK area while the tram is climbing. The staffs manage the crowd in good way even there is many people queuing to ride the tram. The ride was enjoyable. Easy to use the voucher. Just scan the vourcher barcode at the gate and you are good to go. The Peak Tram ride was nice, you can see HK area while the tram is climbing. The staffs manage the crowd in good way even there is many people queuing to ride the tram. The ride was enjoyable. A bit hard to used because i have to find tour leader from clook not in the front of entrance, so i have to book another ticket from traveloka but when i wanna return from the peak, i met clook tour leader and asked it to reedemed.. tour leader also not nice, but over all is easy to used.. A bit hard to used because i have to find tour leader from clook not in the front of entrance, so i have to book another ticket from traveloka but when i wanna return from the peak, i met clook tour leader and asked it to reedemed.. tour leader also not nice, but over all is easy to used..
We went there around 4 pm so there’s a long line but it was worth it. The best time to visit this place is early in the morning. There’s still a queue even for the pre-purchased tickets but it’s not as long as the line without the tickets so it’s a must to buy the ticket in advance. I think it’s a must if it’s your first time visiting hk.. It was a great experience. However, I wasn’t able to enjoy the sky terrace experience because there was really a lot of people. It wasn’t klook’s fault tho. We went there around 4 pm so there’s a long line but it was worth it. The best time to visit this place is early in the morning. There’s still a queue even for the pre-purchased tickets but it’s not as long as the line without the tickets so it’s a must to buy the ticket in advance. I think it’s a must if it’s your first time visiting hk.. It was a great experience. However, I wasn’t able to enjoy the sky terrace experience because there was really a lot of people. It wasn’t klook’s fault tho. Highly recommended to try when you visit HK and make sure you book it with Klook because it's hassle free and cheaper. Just proceed directly to the entrance to board the tram showing the e-voucher or print out. Just a few meter walk from Central Station. Can be crowded if you don't go early in the morning. Aside from riding the tram and viewing HK from Sky Terrace, Victoria Peak has lots of shops and restaurants to choose from. There's also a trick art museum, you can enter for free or have your picture taken and printed out. Highly recommended to try when you visit HK and make sure you book it with Klook because it's hassle free and cheaper. Just proceed directly to the entrance to board the tram showing the e-voucher or print out. Just a few meter walk from Central Station. Can be crowded if you don't go early in the morning. Aside from riding the tram and viewing HK from Sky Terrace, Victoria Peak has lots of shops and restaurants to choose from. There's also a trick art museum, you can enter for free or have your picture taken and printed out. Klook really help us because we dont have to queue too long to take the tram. Just go to pre purchased ticket line and wait for the tram. To go to Sky Terrace, just go and queue at the upper level and scan the QR code. Easy. Klook really help us because we dont have to queue too long to take the tram. Just go to pre purchased ticket line and wait for the tram. To go to Sky Terrace, just go and queue at the upper level and scan the QR code. Easy. It's almost a must to prebook tickets to the peak. There was a designated line for prebooked tickets (including those from klook) which saved us so much time from not having to queue for tickets in the cold! Even with the tickets, we waited for about 6-7 trams before we could board but it was during the peak evening period so it was understandable. The views at the peak were spectacular despite being really foggy and my family enjoyed it a lot! It's almost a must to prebook tickets to the peak. There was a designated line for prebooked tickets (including those from klook) which saved us so much time from not having to queue for tickets in the cold! Even with the tickets, we waited for about 6-7 trams before we could board but it was during the peak evening period so it was understandable. The views at the peak were spectacular despite being really foggy and my family enjoyed it a lot!